Included in the update were many new cosmetic items, including new skins for Ivern and Jarvan IV. Ivern received the Dunkmaster Ivern skin, which provides different look, new Recall animation, and new animations, voice lines, and ability visual effects. Similarly, Jarvan IV received the new Hextech Jarvan IV skin, which provides the same level of complete overhaul. In line with the other Hextech skins, Hextech Jarvan IV will be available to craft with ten gemstones or unlockable via loot. Jarvan IV is the latest to receive a Hextech skin, joining Alistar, Annie, Anivia, Galio, Janna, Kog'Maw, Malzahar, Poppy, Renekton, Singed and Sion. 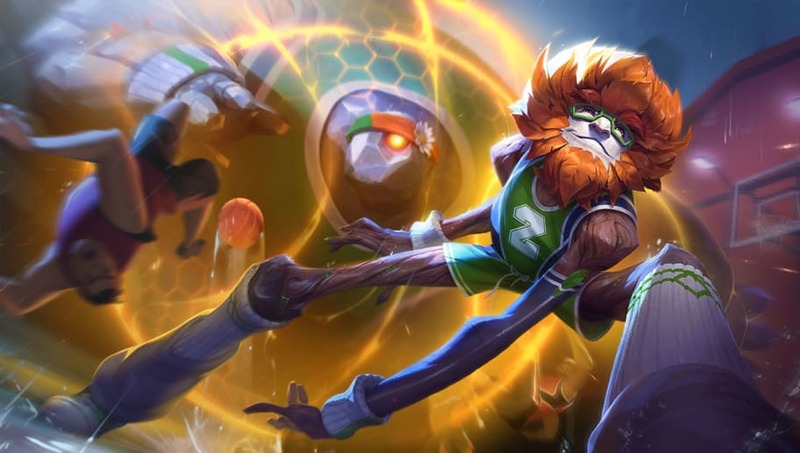 Other cosmetic items included in the PBE update were new Chromas for Dunkmaster Ivern (providing eight colors) and nine new emotes as rewards for Split 2 of Ranked mode, awarded per the player's rank as included with 2019's ​new Ranked changes. This is the first Ivern skin added since the champion's release in October 2016, and the third skin available after default Ivern and Candy King Ivern. It is the newest Jarvan IV skin since the champion received the Dark Star Jarvan IV and SSG Jarvan IV in March and July of 2018 respectively. Ivern was also ​one of many champions to receive new balance changes in Patch 9.6.